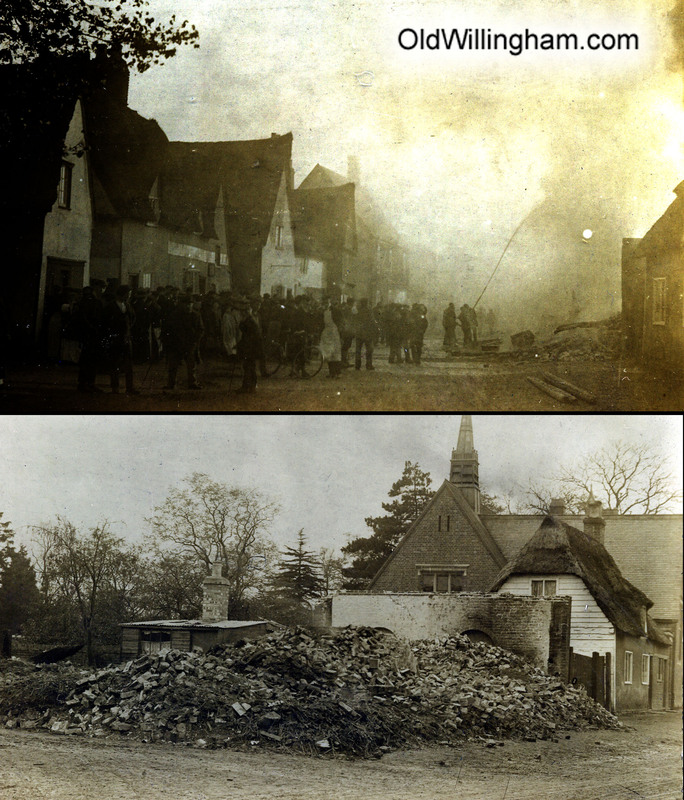 Drama on Church St. around 1905 as the shop on the corner with Long Lane burns. Crowds have gathered to watch and the village fire pump is in action with a rather puny jet of water spraying on the building. But it is all in vain and by morning there is nothing left but rubble. Fire was a constant hazard in the days of thatched roofs and open fires. Within a few years a new shop was built which is now the “One-Stop.” The little cottage behind the rubble survived the fire and remained for another hundred years – but eventually fell to redevelopment after becoming dilapidated.